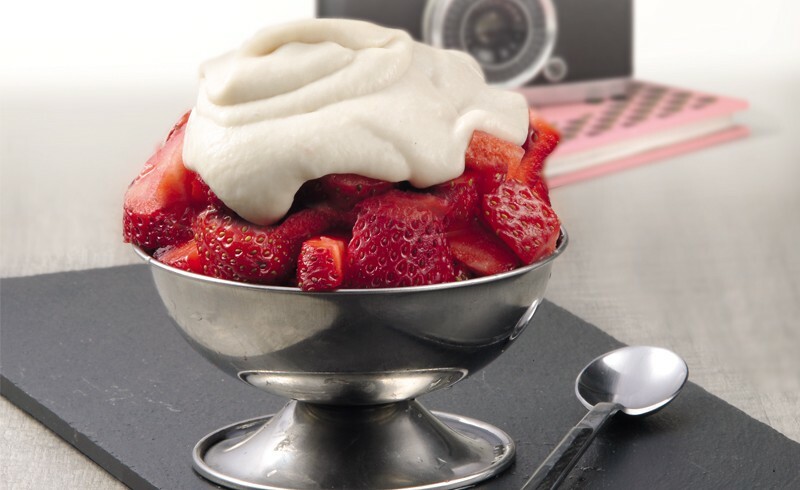 Simplicity wakes up our sense with this fantastic traditional dessert, refreshing, full of vitamins and suitable for any seasonal fruit. Exquisite and gourmet at the same time! Lightly beat the banana purée, Ken Gourmet Duo and sugar to give it some texture. 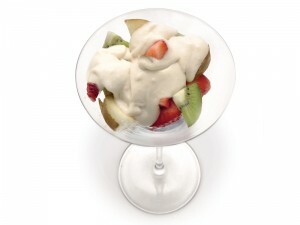 Half fill a bowl with the fruit and pour the mixture over the top. 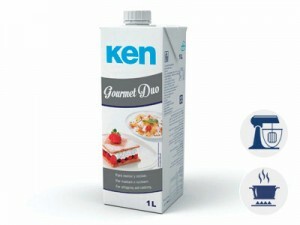 Ken Gourmet Duo, the alternative with all the creaminess and flavour of cream to make all your recipes. A healthy product with a low cholesterol content, suitable for those with coeliac disease.